Also available for euphonium and piano (HL44006638). 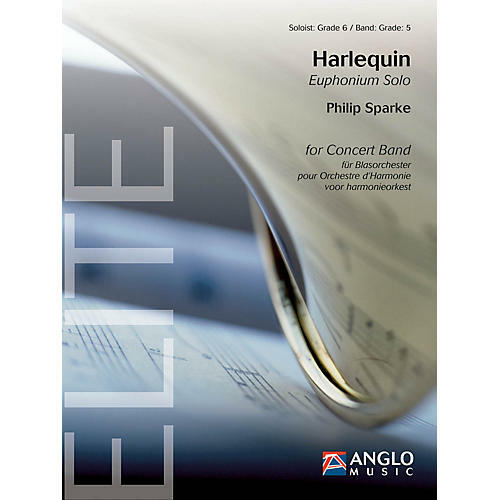 Harlequin was commissioned by and is dedicated to euphonium virtuoso David Childs in 2004. The piece takes as its inspiration the happy and sad masks which symbolise the Commedia dell'Arte (which features Harlequin as one of its main characters) and comprises two movements: a slow modal ballad followed by a frenetic faster movement.